His name’s Baby. He’s a driver. And this summer, he’s in way over his head. 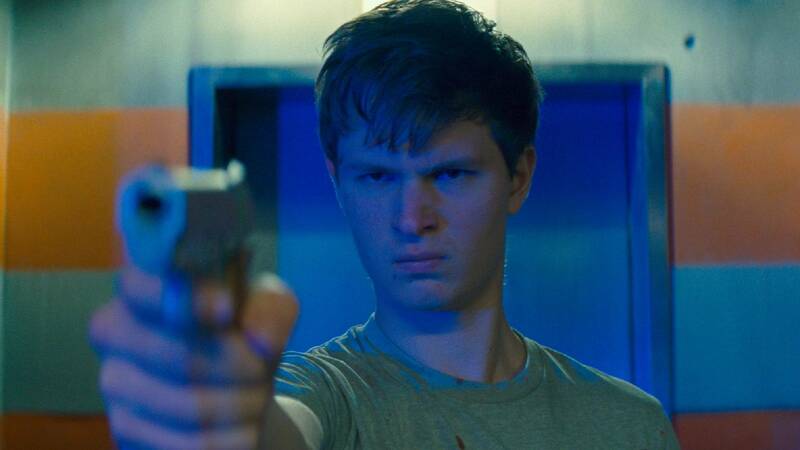 With a promising spread of blockbusters rolling out before us (Spiderman, Planet of the Apes, The Big Sick), do yourself a favor and make room for Edgar Wright’s smash-hit heist flick, Baby Driver, which is shaping up to be one of the best movies—if not the best movie—on the list. Two action-packed hours roll by like a music video, backed by a perfect soundtrack where every quip, every gunshot, every squeal of the tires plays wonderfully off the beat of the music. Spoilers ahead: Baby drives getaway cars for bank robbers, and he’s the best in the business according to his mobster boss, Doc (Kevin Spacey), to whom he also owes a debt. Baby always listens to music, even when driving, in order to drown out the low, constant buzz in his ears, the result of a car accident in his early childhood. Intense though it may seem, there’s a levity to this film, a hint of parody, which fuels the whole raucous ride. 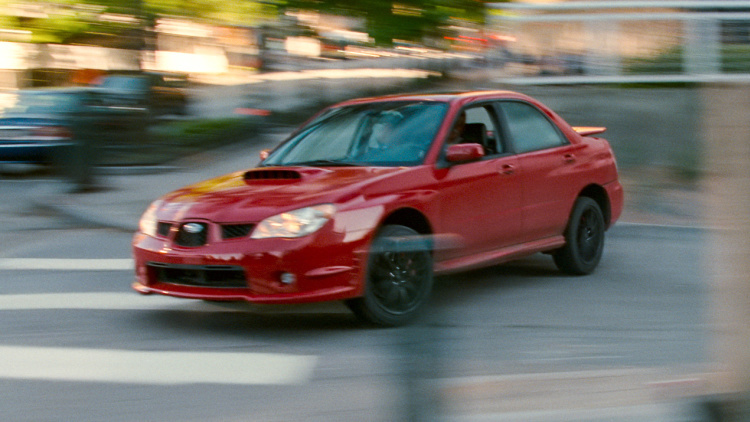 Baby Driver is an action movie but not just. There’s zinging humor, and a timeless sense of style, and the whole film is dressed to the nines in classic references, played up especially well through its two leads, Baby and Debora, who, together, are easily the film’s grounding charismatic center. They don’t speak much but instead let their music do the talking. The characters steal moves from familiar archetypes but Wright doesn’t let them get away with it: he puts them under a lens and scrutinizes them, Baby especially. In the end, we’re left with a surprisingly provocative character study, a look at morality, judgment, and love, and how all three are twisted up in the eponymous lead. Who is Baby? And why, despite his obvious criminality, do we think he’s so, well, awesome? To both the viewers and the characters, Baby seems innocent. After all, he’s named after the demographic we consider most angelic (although both sleep-deprived young parents and believers in Original Sin will see right through this charade). Without even saying so, Baby assumes the role of the good guy trapped in a room full of bad guys. It could be his youth, maybe his dope swag. It could be his good deeds, the way he takes care of his disabled foster father, cutting his sandwiches down the middle. The first quarter of the film sees Baby gliding through the streets, walking on sunshine, reminiscent of Ryan Gosling and Emma Stone in La La Land. You’d never guess he just robbed a bank. Early on, one of Doc’s thugs, frustrated by Baby’s aloof, squeaky-clean demeanor, says that sooner or later Baby will have to get his hands dirty. He can’t hide behind the wheel, and his supercool sunglasses, forever; he won’t always be able to wash his hands of the crimes he’s committed. That baby face of moral righteousness will crack eventually. And crack it does, though Baby tries his damnedest to keep it together: he pays off his debt, gets a girl, and starts making an honest living, exercising his talents as a record-breaking pizza delivery man. But it’s all a mask, and before long he realizes it. What neither Baby nor the thugs were able to see in the beginning was that Baby was never morally righteous: he was always the baby driver, the getaway man. Since the beginning, he was a pawn in Doc’s game, a player for the bad guys…and so he gets reeled in again. He finally begins to realize just how high the stakes are, not only for himself, but for everyone. It’s armed robbery, after all. He’s putting innocent people in danger, including his loved ones. Again, he tries to escape, to be good, once and for all, but in doing so gets his hands very, very dirty. Only love can save him now. Baby and Debora make off into the sunset before reality breaks in: the cops catch him, and he gets a prison sentence. Good behavior lessens his time; his good deeds chip away at his bad deeds. In a bittersweet twist, Baby Driver comes to illustrate a world where our actions determine our fate, where justice is, supposedly, served. Like a badge, all the crooks in Baby Driver have a codename: Doc, Buddy, Darling, Bats—and Baby. Throughout the film, Baby told everyone that this wasn’t a code name, that it was his real one, suggesting he didn’t need a codename because he wasn’t really one of them; he wasn’t really a criminal. In the end, he’s caught, put on trial, and we find out the truth, that his real name is Miles. A goofy detail, sure, but not at all insignificant. His double identity suggests that he was hiding all along. Theologically speaking, this is what the law does. It accuses, condemns, puts you in prison—but all the time it is chipping away at the illusions of who you think you are, ultimately bringing you to the truth about yourself. And this is the point of deliverance. As Baby Driver shows, when all of your defenses are brought down, Debora can look you straight in the eye, call you by your name, and tell you—the real you—that you’re loved. At first I was saddened that Baby/Miles went to prison. I was ready to climb into the back seat of another sick Subaru WRX and hit the hills with him. I was ready for Baby and his bonny lass to have their happily-ever-after. But of course, that would have been a fantasy. And it’s an amazing privilege, in the end, that Baby’s story takes the turn that it does. A more fun illustration of real life has rarely been seen in theaters. Our actions—though we may not intend to harm anyone—so often condemn us. If justice is to be served, we should all be on trial. And we are—sent off to our daily little prisons, we often feel accused by our spouses, by our jobs, by our reflections in the mirror. Justice wants us behind bars. But the gospel offers an alternative, someone who will take the heat for us. Baby is the best driver in the business, sure, but it’s his talents that get him in trouble. Otherwise, he’s not exactly a genius. The same can be said of Debora. In a culture that salivates over a wicked-smart female lead (thinking, off the cuff, Hermione Granger, Nikki from the latest Fargo), Debora maintains a wide-eyed vacuousness which shows that you don’t have to be smart to be good. Along those lines, neither Baby nor Debora are necessarily musical prodigies. Baby makes quirky, catchy mixtapes, and Debora sings to herself at work, but neither have plans to top the charts any time soon. Which doesn’t stop them from absolutely loving music and communicating with each other through it. “I think most people use music in their lives as an escape. It’s a positive thing, but it’s also an escape from daily life in some way. And it’s also I think for a lot of people the one thing they can control,” Wright said. “Especially with headphones, or in your car on your own, it’s a sort of very personal experience. Control is a huge theme is this film: it doesn’t seem like Baby had a lot of control over whether or not he would become a criminal, yet he became one just the same. If he can’t control his own life, at least he can curate it. This is a significant detail, for a spiritual reading. To a large extent, Baby’s debt reflects the sense of existential inadequacy that spurs so much of human activity, self-justification and even religion. This debt (which I assume is intentionally mysterious and never fully explained) reveals his burdened state of being from the very beginning. point of clarification about Baby’s debt to Doc–Doc said that Baby (Miles) was a petty car thief who carjacked Doc’s car back when Baby was about thirteen. Rather than kill the kid, Doc was impressed with Baby’s ingenuity and talent for driving and arranged that Baby would be the get-away driver for Doc’s operation until he paid off the debt of the stolen vehicle. So Baby’s whole life with Doc was about paying off a debt, and then when Doc saw how skilled Miles was at his work he decided he couldn’t afford to let Baby go. Doc struck me as the kind of bad guy you see in John Woo’s Hong Kong work, the mob boss is a bad guy, yes, but the kind of old-timey criminal who has some sense of honor and sentiment and is willing to give Baby and Debora a chance to escape against his own better judgment. But Doc’s challenge to Miles is that at some point he has to make “a big boy decision” and understand that he has to live with the consequences. Doc is the bad surrogate father figure, perhaps, who embodies some of the vices of Baby’s deceased biological father, while Baby’s surrogate father is too dependent on Baby’s financial provision in the film to be able to register more than a moral objection to his adoptive son’s illegal work. Baby is like Wright’s other male protagonists in the sense that he’s trying to avoid confronting a reality about adult life in the world, if possible, and of course it’s not possible. As with Wright’s other protagonists (all the Simon Pegg roles, Scott Pilgrim) the man who is unable or unwilling to confront the social and personal consequences of his character flaw faces himself in the end and grasps the nature of his flaw. We could line up every single Wright film and propose that each of them is a coming-of-age story in which the primary objective is facing down character flaws rather than, say, winning the girl (since implicitly in Hot Fuzz and explicitly in The World’s End the central male protagonist is told he’s not really boyfriend material). That may be what sets Wright’s coming-of-age stories apart from the usual form, there’s not automatically a romantic reward for realizing that growing up has opportunity costs). Thanks for the clarification Jeremiah. I did forget that the debt actually was explained—a lot happened at such a rapid clip! Love that insight about Wright’s other protagonists. I remember fondly your Flavors of Failure essay: http://www.mbird.com/2013/12/flavours-of-failure-in-the-blood-and-ice-cream-trilogy/ Baby definitely fits the bill. Jumping in here with an observation- maybe worth adding to the “strays” section? Loved this movie and have been *dying* to talk about it. Baby Driver is *full* of important audio ques that play with the film’s surround sound. Listen afresh to the audio when someone yanks one of Baby’s ear-buds out- the stereo cuts the music out on one side of the surround sound to compensate. The sound design in this movie is off the charts! To this post: after the opening heist, Baby is sent on a coffee run, and everything in the clip is lined up to music. He’s dancing down the street, coffees in hand, and lip syncing along with the jam. There is one specific piece of this scene that doesn’t line up with the music: the brief moment when he is accosted by a street preacher. He quickly moves on, but in the whole sequence, that is the *only* sound that distracts from his otherwise on-beat life. Edgar Wright never makes mistakes with this sort of stuff- to me that’s a really strong que here that innocence/guilt is one of the film’s main themes. Great review, Ceej. I think JL is right on point about facing the realities of adulthood, guilt. There’s a huge amount of symbolism involved with hearing/seeing (headphones/sunglasses) and the implicit denial involved in the dream of their romantic runaway. Then the sunglasses get cracked, the keys are thrown in the water, and the music is gone in the prison. He still has the love (and the postcards which represent freedom). But the real justice has to be served. What do you make of the foster father being deaf? And what do you make of Jon Hamm’s character also being a “driver” of sorts, and a music lover? Thanks Ethan. I definitely think that when the sunglasses break & the music stops (or comes in spotty), Baby is pulled out of the fantasy he’s created & into the un-curated world he can’t control. It’s a great question about who hears and who doesn’t. Re: his foster father, I’m sure there’s something significant about his deafness, maybe that he lives without the glamor of a soundtrack. That said, I don’t think you can argue that music symbolizes anything bad necessarily. Music aids the fantasy but also the healing, in the end. Also, it looked like Baby’s foster father may have had cataracts…not sure what that’s saying about the sight thing. Would love to hear anyone else’s thoughts on this.